Each semester, I post an advertisement for the open undergrad research positions in my lab. The ad includes a description of the project, methods my lab uses, and overall objectives of my lab's research focus. Yet, each semester, several undergrads with interests completely unrelated to my research program apply for a position in my lab. To be happy and successful during their research experience, I know that these students should choose a research project in a lab that aligns with their interests. The bottom line is this: if you want to get an interview (and be offered a position), only apply to research positions that are interesting to you. If you really dislike working with computers, then don’t apply to a bioinformatics lab, and likewise, if you want to do medically-related research, don’t apply to a lab that focuses on freshwater ecology. When you’re genuinely interested in a research area, or the techniques a lab does, it’s much easier to demonstrate your enthusiasm, and everyone wants to work with someone who is excited to learn. Your enthusiasm is the key to your short term success (getting an interview and offer to join the lab), and your long-term success (being both productive and happy in the lab). It is definitely NOT true that just any random research opportunity is acceptable. 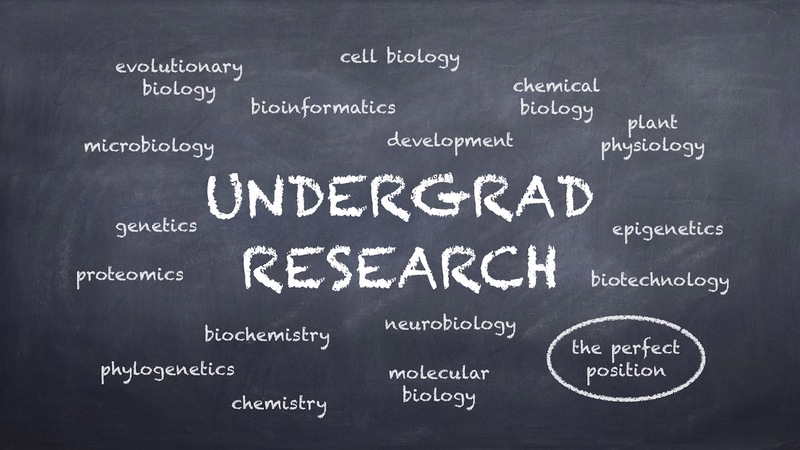 You want to find the right research experience for you. So search for one that will be meaningful to you and foster your curiosity.